This is a new offering from the lovely couple from Mt. Shasta, California who made the Buen Camino board game. Get 20% off your order from Buen Camino Shop when you spend $15 or more. 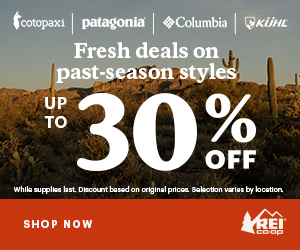 Code XMAS2018 Discount applied at checkout. This calendar will sell out soon. Available on Amazon – click to purchase. This new book is in a special category of its own. It was published by James Portelli from Malta, guest blogger, and one of the people I walked with on the Camino Primitivo. I can attest that James is a history buff (and a Camino super fan! ), thus he has infused this book with Camino facts, legends, and interesting tidbits. This book documents Portelli’s friend Joseph on the Camino Francés. Proceeds of from the sale this book are donated to a charity that is close to James’ heart. The Missionary Society of Saint Paul is a Maltese Holy Order globally active in missions from as far west as Peru and Cuba and as Far East as Vietnam and the Philippines. Proceeds from the sale of this book will go towards the Scholarship (higher education) Program for low income families and the Talent Program in the Philippines. I met both Kari and Jennifer at the national gathering of pilgrims in April 2018, and I was so moved by their talks. During their sessions, they had watercolor paints and supplies to guide us in making our own art. It’s not as easy as they make it look! These would make excellent gifts and be worthy of placement on your coffee table. Includes pages for 36 fun-filled travel days with sections dedicated to My Camino, My Purpose, My Thoughts, and Mindfulness Minute. Also included are inspirational quotes, writing prompts, and a daily structure for anyone who suffers from blank page phobia. I used this on my pre-Camino tour of Sicily/Malta and my Camino Primitivo this year, which added up to 36 days. Available on Amazon or BHC Press. Camino guidebooks make great gifts, but with so many different routes, you might prefer to shop around, or wait for the latest edition to be published. With that said, Village to Village Press already has updated guides for the popular routes: Francés, Portugués, and Norte. New for 2019: Maps guide to the Francés (1/3 the weight of the full guide), Camino Primitivo, Camino Inglés, and a standalone guidebook to Finisterre/Muxía. These are excellent quality books with clear maps, photos, and route details. Click images to purchase on Amazon. Kudos to Village to Village Press for supporting trail development projects worldwide! This was created by Michael Matynka Iglesias, the guy behind the popular Wise Pilgrim App and guidebooks. I LOVE this map! You could have it framed, as shown above, but I had my poster mounted on gator board, which is stronger than poster board. This allows you to stick pins in it to mark your Camino points. When I bring it to our chapter events, pilgrims gather around it to see all the Caminos that then never knew existed. I wrote a detailed review of this map for La Concha newsletter and my blog. See The Wise Pilgrim Camino Map. Kim is an artist, writer, “mentor specializing in pilgrimage as rite of passage” and most recently has become an innkeeper on the Way. After many years as a pilgrim and then guide, in the true spirit of ‘the Camino provides’, she has recently opened a unique bed and breakfast named “The Stone Boat” in Rabanal del Camino on the French Way. Kim is offering these beautiful gifts of poetry written on slate from the mountains in the area and also gift certificates from The Stone Boat. She will continue to hold intimate group quests, mentoring, as well as Camino writers’ workshops in Rabanal. If you would like to know more about the poetry slates, The Stone Boat and other offerings, you email Kim at soulfulroad@gmail.com or visit www.thestoneboat.com and www.facebook.com/soulful.road. Backstory: Before I started my Camino Primitivo in May, I made a side trip to meet Kim, and I can honestly say that she is a true Camino angel! I also had a chance to see of The Stone Boat before it opened. The place has great energy, and the village of Rabanal is very quaint and peaceful. I highly recommend staying there on the Camino Francés. Kim offered to write one of my favorite quotes on a slate. I was pondering either “Solvitur Ambulando” or “The mountains are calling and I must go. – John Muir” But when I saw this slate with a Rumi quote, I thought this is perfect! If you decide to get poetry on slate while on the Camino, consider having it mailed directly to Santiago so it won’t weigh you down. I mailed my slate, along with a few other items jettisoned from my backpack, to my hotel in Santiago (Hospederia San Martin Pinario). Now I have my favorite Camino keepsake on my dresser at home. Commemorate your Camino de Santiago pilgrimage walk with a sticker in the same style as the marathon stickers you see people sporting on their cars. Size: 2″ H, 3″ W Perfect for your laptop, or a notebook, or a coffee cup. These are offered by Heather Knight, who manages the super helpful Camino de Santiago Planning Facebook group. The rainbow design patch is back! This time with 2019 in orange. 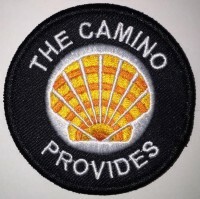 I, too, was inspired by the Camino when I started designing patches four years ago. I currently have two designs available: Original with no date, and 2019 limited edition. You can add a sticker to your order for just $1 each. Buy at etsy.com/shop/caminoprovides. Sweet Deal! Buy 12 get 3 free! Baker’s Dozen! I have made a Camino connection with all of these pilgrims who’s items are featured above, either in person or online. Some have been interviewed on Project Camino so you can hear their voices. By supporting these artists, you are supporting the Camino creatives tribe. I see this as a way pilgrims can share their talents in a way others can enjoy, and possibly, also be inspired by the Camino! You can also find Camino gifts featured in 2017 and 2016. We pilgrims are not selling our creations to make a profit. Rather, it brings us joy to share a little bit of the Camino with the world. We offer our gifts to support our craft, and any proceeds go right back into our creations. My mission is to celebrate the Camino de Santiago and the pilgrim’s journey, from the Calling to Compostela and beyond. I do this by sharing informative tips on training, gear, and routes; by organizing and promoting Camino-related events in the Bay Area; by interviewing pilgrims and sharing inspiring stories; and by curating content relevant to the Camino. Sales of my patches, and purchase through my Amazon affiliate links, help to defray the costs of hosting and managing this blog. It’s a win-win, and a sustainable way to keep sharing the Camino love. Thank you. Gracias. Obrigado. Merci. I wish you all a blessed and peaceful holiday season, and a wonderful new year.